Description: Oak Hill houses one of the finest theological libraries in the south-east. It provides historical material and a wide range of contemporary resources from a variety of traditions to support the teaching which takes place in college and to facilitate research. 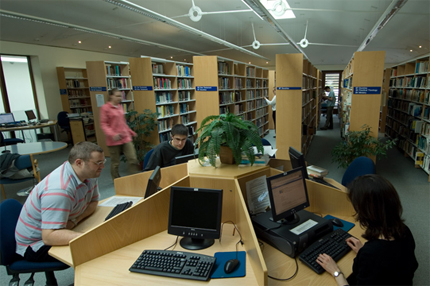 The library is open 24 hours a day and 7 days a week to all members of the college community. Former Oak Hill students can join for an annual payment of £30, and visitors for an annual payment of £60 (9am-5pm only). Day visitors are allowed access for a daily charge of £5 (£3 for Old Oaks) if reading space permits. Please contact Wendy Bell (WendyB@oakhill.ac.uk) for further details.